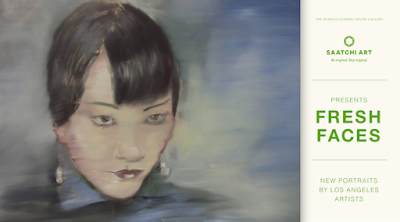 My portrait of Anna May Wong is part of this upcoming exhibition in Santa Monica. Anna May Wong was the first Chinese American film star, and the first Asian American actress to gain international recognition. Her acting career went from silent films to talkies, to stage, to radio, and to television. Born in Los Angeles, a few blocks from Chinatown, Anna May Wong's career has been an inspiration for many. My painting was created as an homage to Anna, sourced from numerous photo stills and film clips from the era. For complimentary valet parking, enter lot via 26th Street. Please RSVP by March 17th at the link below. Fresh Faces, curated by Saatchi Art curators Katherine Henning and Jessica McQueen, continues Saatchi Art's series of exhibitions around the world featuring today's most exciting emerging artists. The exhibition will feature recent works by 14 Los Angeles-based artists, including Kevin Bradley, Gregg Chadwick, Karen Clark, Fabio Coruzzi, Steven Engelmann, Maria Folger, Minas Halaj, Mark Hobley, Tahnee Lonsdale, Mallory Morrison, Christopher Mudgett, Brian Oldham, Stephanie Vovas and Adrian Kay Wong. The exhibition will be on view from March 24 through May 13, 2016. Gallery hours: Monday through Friday 10am-5pm and Saturday by appointment. Gallery contact: curator@saatchiart.com. All works are for sale at the exhibition in Santa Monica and online at Saatchi Art. To view, please visit saatchiart.com/show/freshfaces. 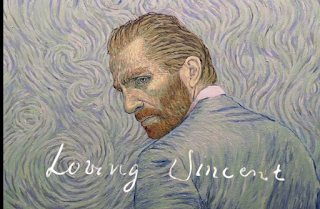 Currently under production by the Oscar winning companies Breakthru Films and Trademark Films, the animated film Loving Vincent delves into the life and art of Vincent Van Gogh. Each frame of the film is an oil painting on canvas that will lend a sense of immediacy and painterly touch to Vincent's story. Loving Vincent is sourced from over one hundred and twenty of Vincent Van Gogh's paintings and from the 800 letters written by Van Gogh during his lifetime. The trailers below give hints of the animated feature to come. 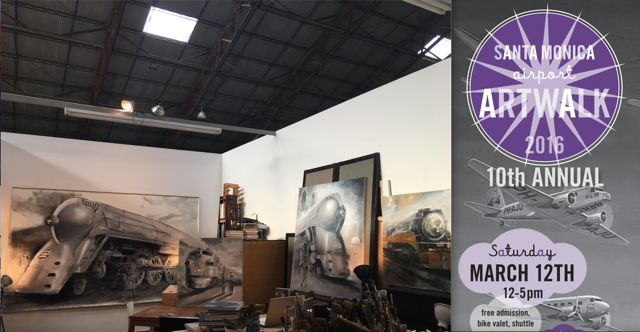 Fresh from my solo exhibition at the Sandra Lee Gallery in San Francisco and the Palm Springs Fine Art Fair, a number of paintings from my current series of train inspired artworks will be on view at the Santa Monica Art Studios on March 12, 2016 from 12-5 pm as part of the 10th Annual Santa Monica Airport Artwalk. Free parking outside the hangar.